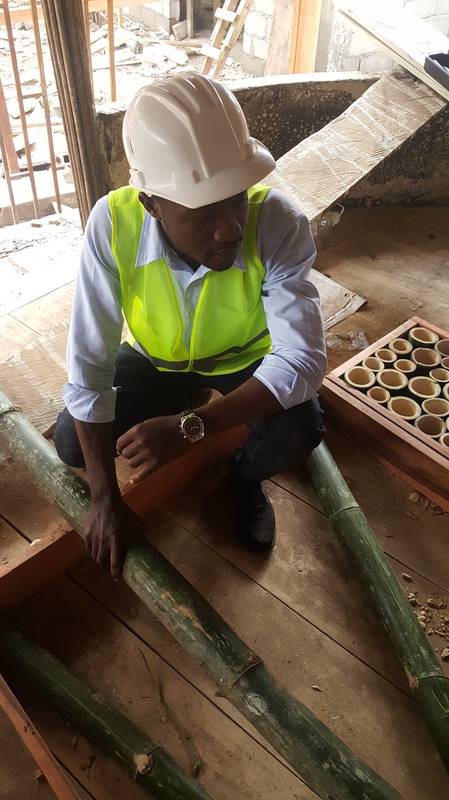 As our new regional office opens in Yaoundé, Cameroon this year, we spoke to an up-and-coming young bamboo architect in the city, Lionel Tsagué, about his drive, motivations and vision for bamboo construction in the area, and how INBAR’s projects in the area helped him to get off the ground. INBAR has been profiling people all over the world who are advocates of bamboo and rattan in many walks of life – from bamboo bicycles to architecture and diplomacy. 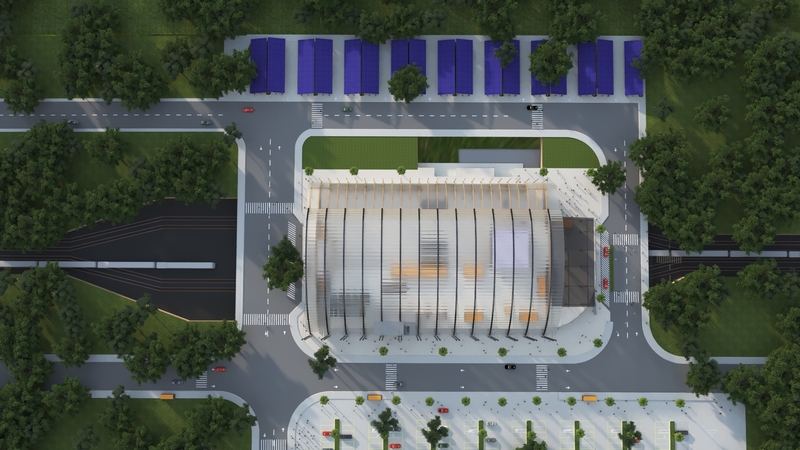 Whilst his career is shorter than that of Hong Kong architect Martin Tam, whose story we published last month, Lionel Tsagué is just 25 years old – and he already has a degree and his first major project under his belt. Whilst studying at the Institute of Fine Arts, in Foumban (he graduated just last year in July 2018) he became interested in environmental and sustainability issues. When reading around online, he found out about the environmental benefits of bamboo – the super-renewable, locally grown, carbon-sequestering giant grass. 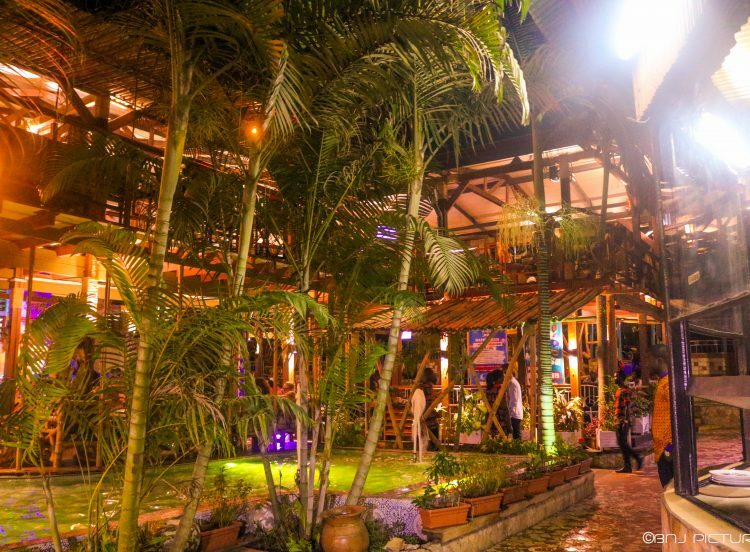 Inspired by contemporary architects like Simon Velez and Vo Trong Nghia, he quickly became convinced that he could make career out of building with bamboo, which grows locally in Cameroon. Both native and introduced species can be seen on roadsides, forests and increasingly plantations in many parts of the country, which is still in the process of developing its nascent bamboo industry. Unfortunately, his architecture course covered mostly traditional materials, and when he suggested to his course teachers that he complete his final design project with designs using bamboo, he was told at first that it wouldn’t be possible. “I really had to fight.” He told us. “In my traditional architectural training, we didn’t talk about bamboo at all. 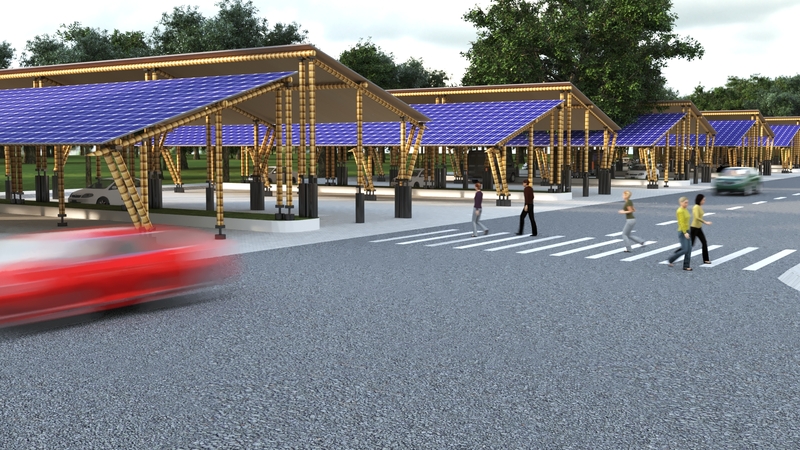 Eventually, he was able to do his project on a bamboo-centred train station and public space design, and write his senior thesis on the environmental benefits of using bamboo in constru. It was as a student that Lionel first encountered INBAR’s work, first whilst reading around online, and afterwards whilst attending a workshop in Yaoundé in 2017. 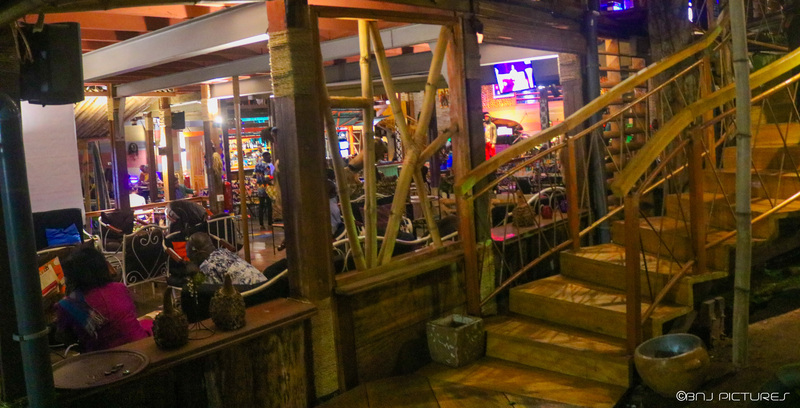 The workshop opened his eyes to the world of people that share his passion, and propelled him to work more with this substance – and so it was that upon graduating he was able to use bamboo in his very first project, a restaurant in the centre of Yaoundé named the ‘Boukarou Lounge‘. 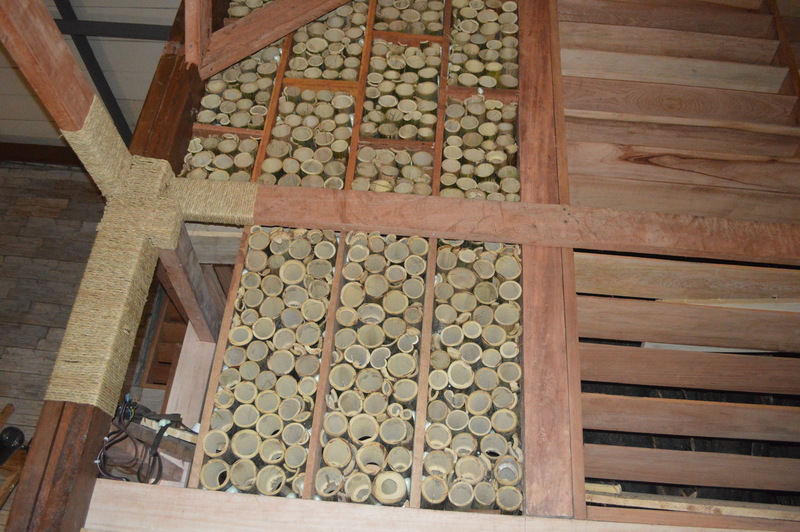 His first thought was to use bamboo for the structure of the building, but unfortunately the insurance company they were working with vetoed the idea due to concerns about regulations. 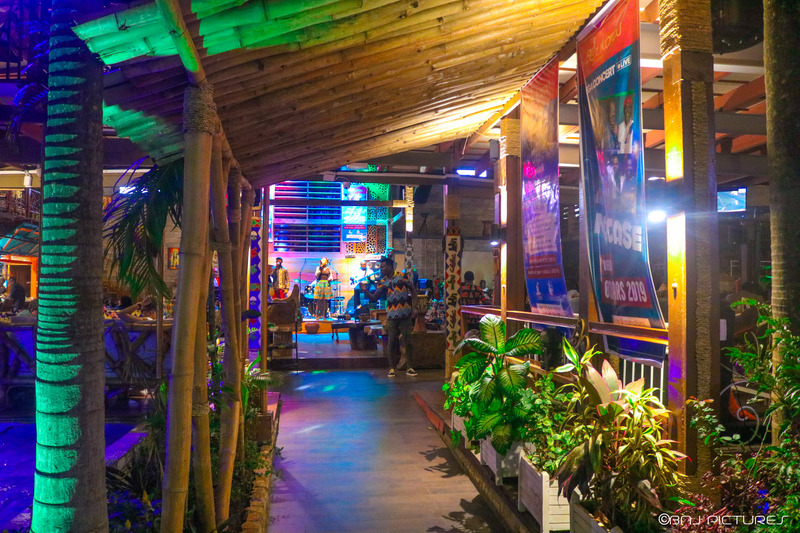 Instead he used locally sourced timber for the bulk of the structure, and bamboo for the exterior and decorations to make a cosy space that mixes the traditional and the modern and has become a busy restaurant frequented by many in the city. 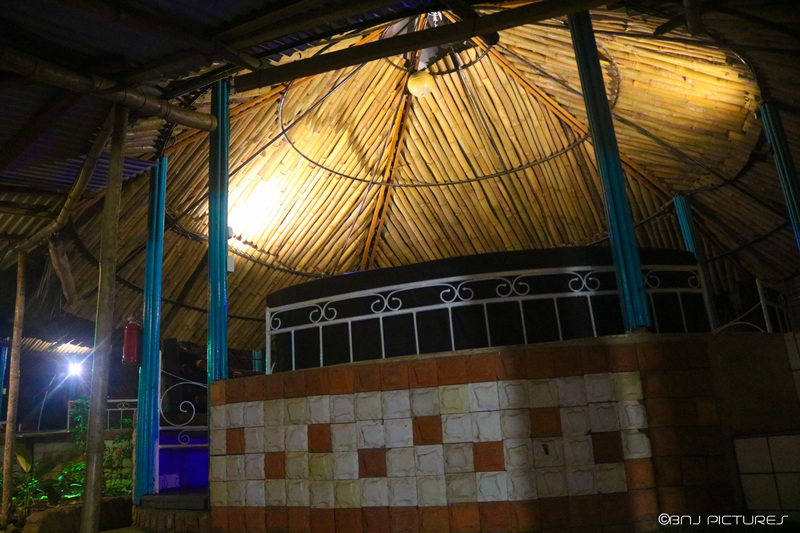 The effect is certainly not lacking in bamboo and was a great experience – but he hopes that next time he will be able to realise his dream of designing and building something entirely from bamboo. 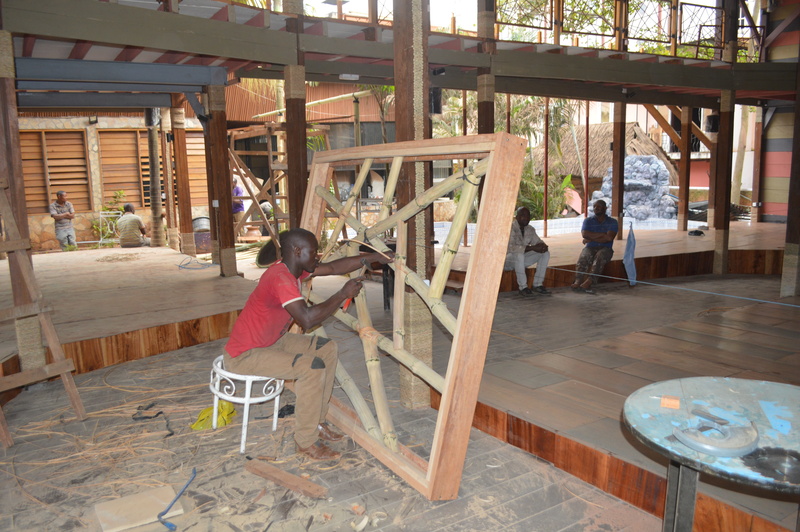 His passion for building with bamboo has even earned him a nickname amongst his friends and colleagues. Being called the “bamboo man” is nothing short of high praise for a young man so clear about his passion. The next challenge for Lionel is to travel to the University of San Martin de Porres in Peru to continue his studies in Biomaterials and learn more about this versatile material. 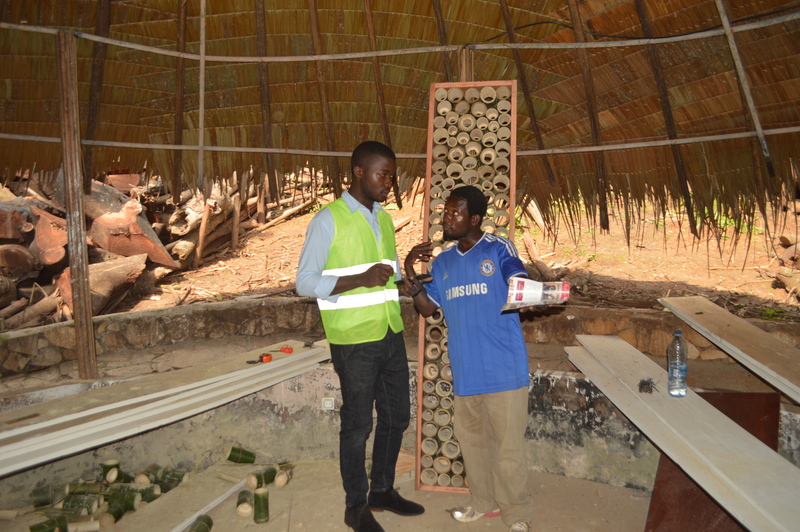 He hopes to bring what he learns in Peru back to Cameroon and to promote the use of this sustainable material to policymakers, designers and the general public. Our eyes are on Lionel and we are sure that he will make an incredible contribution to the bamboo industry in Cameroon and around the world. Are you in Yaoundé? Send an e-mail to info@inbar.int to get in touch with our brand new regional office in Central Africa. 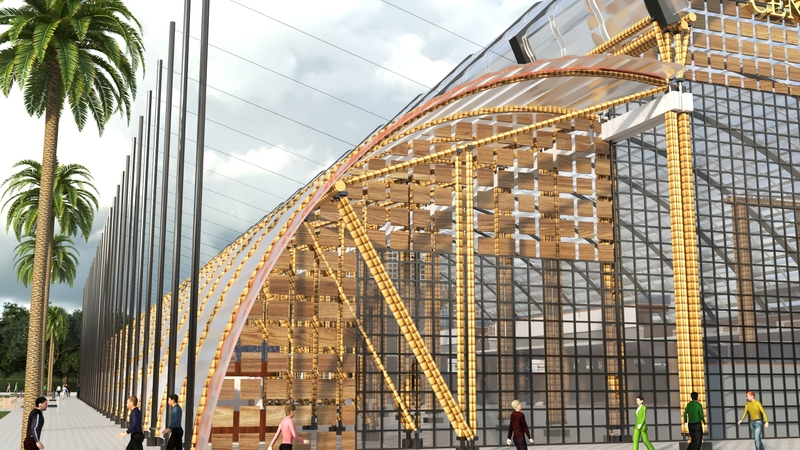 Read more from inspiring architects and designers who are using bamboo to create new, eco-friendly building methods here, here and here.